Are you on a roll? When you are on a roll you are experiencing success after success. You have a series of successes. 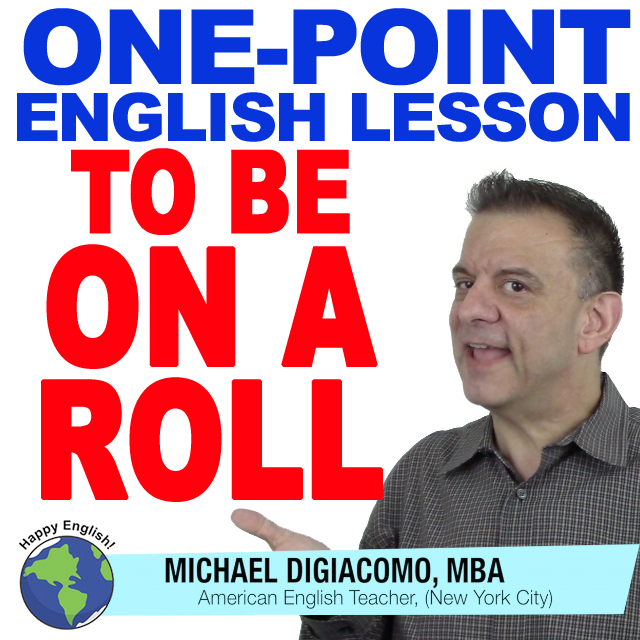 When you use this idiom, the grammar pattern is always on a roll. We can’t say “on the roll,” or any other variation. Plus, we almost always use to be on a roll. The team is on a roll. They won 6 games in a row. Everything is going great for Jane, she’s on a roll. The comedian told one funny joke after another. He was really on a roll. I hope you all will be on a roll this week. Keep studying!